Swimia.com needs your feedback to ensure all of the details is valid, since maybe this pool is no longer open to the public. The most beneficial pools to swim are definitely indoor olympic pools. There are often discounts offered to senior citizen and little children. Find out by contacting your nearest pool in City of London. Are you a typical swimmer? 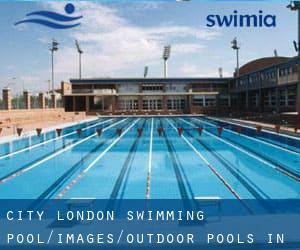 Do you visit the identical Outdoor Pools in City of London? Please check that all of the information for your aquatic centre are correct and make contact with us in the event you locate any mistake. Please have a look to the Pools swimmers like you've reported. Is your pool not listed? Contact us to ADD IT. It's no cost! 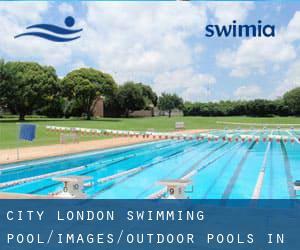 Please check the nearest Outdoor Pools in City of London or Contact us to ADD IT. It is free of charge! East Acton Lane , Acton , London - West , England , UNITED KINGDOM (Postal Code: W 3 7HB). This sports centre provides 25 meters x 11 meters, 6 lanes, Outdoors. Contact details for this Pool just like phone number and email address are number. High St. , Hampton , London - West , England , UNITED KINGDOM (Postal Code: TW12 2ST). This sports centre provides 36 meters x 14 meters, 6 lanes, Outdoors. Contact details for this Pool such as phone number and email address are number.